Members of the 167th Infantry, 42nd Division in the St. Mihiel Salient, near St. Benoit, Department of the Meuse, France. 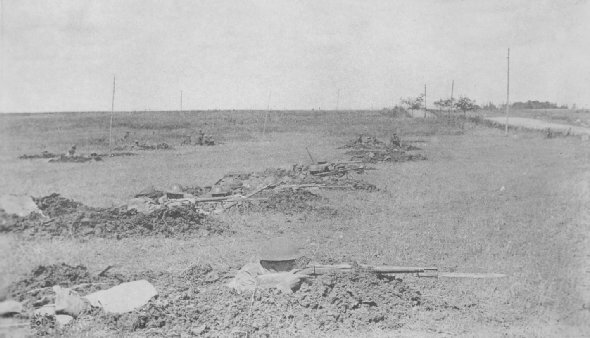 The machine gun outposts are seen in the rear, September 15, 1918. The going was tough here. First (1st Bn., 166th Inf., 42nd Div.) and second (2nd Bn.) waves of Infantry. 2st Lt. J. S. Brown, Jr., and Sergt. 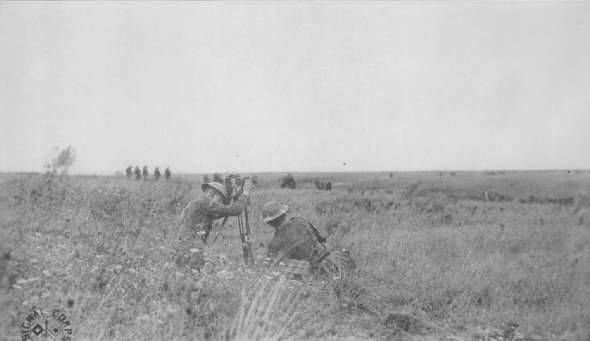 E. G. Guill, Photographic Detail, 42nd Div., taking pictures under fire, St. Baussant, Sept. 12, 1918.